A woman vacationing with her husband was reported missing from the Norwegian Pearl cruise ship. Search and rescue crews are searching the seas off Cancun. The U.S. Coast Guard and Mexican authorities are searching for a missing cruise ship passenger who may have gone overboard near Cancun, Mexico. Authorities say 36-year-old Jennifer Feitz's husband reported her missing from the Norwegian Pearl just before 5 a.m. EST Friday. Her hometown was not available. A Coast Guard search and rescue crew aboard a Falcon jet joined a helicopter and three crews from Mexico to scan the Gulf of Mexico. 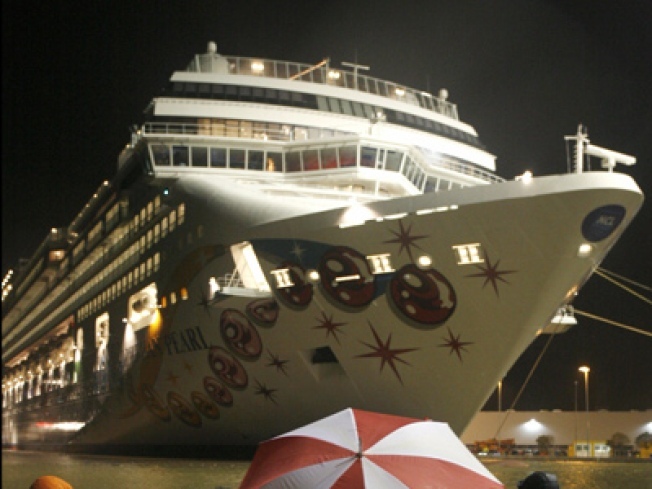 Norwegian Cruise Line says the ship left Sunday from Miami for a seven-day western Caribbean cruise. In May 2008, A New Jersey woman fell overboard from the Norwegian Dawn cruise ship. Foul play at the hands of her boyfriend were accused by the woman's family but video surveillance later supported his story that she'd been "clowning around" when she fell.